Fifty years ago today, there was a change in the art of animation. 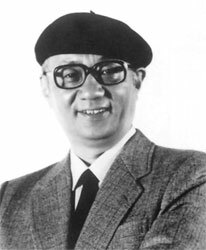 A mangaka named Osamu Tezuka decided to create a series based on his wildly popular manga Tetsuwan Atomu, and his approach to this challenge was nothing short of revolutionary. Deciding to shirk the “traditional” style of full animation pioneered by Disney and practiced domestically by giant Toei Doga, Tezuka would create, and nearly perfect, a system of limited animation that would allow for maximum output through minimum frames. Linking a series of static “backgrounds” with single cel drawings to “mimic” movement and facial expressions, this practice would eventually be copied by animation studios for decades as anime went from experiment to full fledged medium. Think for a moment about how this simple act of experimentation has influenced global media consumption. Had Tezuka listened to critics who questioned the merit of limited animation, would we still have anime as we know it today, or would the Japanese contribution be limited to feature length, Disney-style films? Would we have serialized adaptations of classic printed stories or would we need to settle for movies distilled from long running series? Would names like Akira Toriyama or Tite Kubo be as well known as they are? Would we in the United States even know about their creations at all? 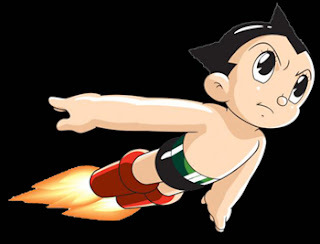 In many ways, Mighty Atom was more than just the first anime. It was a statement from a regarded creator that there was more to manga than just manga itself. There was innovation, and a passion to reach new audiences the world over. There was inspiration not to restrict a character to the printed page, but share him across the airwaves. There was ambition to surpass personal bests, and challenge not only one man, but many, to create something greater. All in the name of a little boy robot. We might forget these contributions in the modern days of shounen epics and slice of life comedies, but these series would likely be an afterthought had it not been for one man’s dream. While Mighty Atom may not be the “prettiest” series ever made, it contains in it a wealth of depth and insight into one man’s dreams, and lays a foundation for something larger than itself. It broke through a barrier none thought existed, and started a road into something new. Educate yourself. If you’ve been an avid watcher of new series, then watch something old. If you don’t know about a certain landmark show, then research it. If you’ve had an opinion regarding a series, character or genre, write about it, and ask questions of others. Participate in the community discussion, or start your own. Rather than be a passive consumer, expand your activities and broaden your own horizons. One of the truly great things about being an anime fan is you have plenty of company, and many of them are more than willing to “indulge you” in this case. There’s a big world out there, so go grab it.